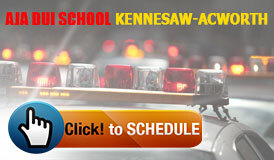 We have 4 "One Stop Full Service DUI Schools/Driver Improvement/Counseling Centers". Alcohol / Drug DUI Risks Reduction | Driver Improvement Defensive Driving | State Certified Alcohol/Drug Evaluations | Ignition Interlock Installation Service| Drug Testing| Mental Health Services. Great for Business Owners, Students, Homemakers, Bar/restaurant workers. We offer more Exotic classes i.e. weekday mornings, afternoon and evenings, also once a week and weekends than any other DUI School. ($100.00 State Assessment) + ($260.00 for 20 hour DUI/Risk Reduction Classes). (Customized Schedules): Weekends, Day and Evenings. Clases en Español. + Alive at 25 $50.00 (4-hour class). One Day (6) hours or Two Days for (3) hours each day: Tuesday, Thursday & Saturday’s. Early, Late Evenings & Weekends Times are Available. We will pay your security deposit, install, calibrate and monitor your Interlock Breathalyzer. Daily: Evening and Weekend. Our name AJA means "To come to"
Each school has all the services you need!